Kids don’t always love being active, but adding a bit of fun and technology can help. Fitness trackers are all the rage for adults, so why not get one for your child? We’ve hand-selected the best fitness trackers for kids that encourage activity and safety. If you want to make exercise fun again, consider getting your child a fitness tracker to keep them moving every day. Choosing the best fitness tracker for your child isn’t as easy as it looks. Sure all fitness trackers have the ability to count steps and track activity, but many offer other features that give you peace of mind while they’re away from home, too. If you want to find the best fitness tracker, determine what features are important to you and your child. Here are a handful of features we think are essential. App: Without an app, fitness trackers may be hard to track. Many fitness trackers come with an app that can be downloaded to your phone to keep track of steps, activity, and other features. If your child is interested in seeing their progress, an app is an easy way to show them how well they’re doing. Color: Most children have a color preference. Some fitness trackers only come in neutral colors like black, but others offer more eccentric colors and patterns. If your child is picky with colors, look to see if their favorite color is available! Adjustable Band: Not all fitness trackers are adjustable. As your child grows, you will want an adjustable band to ensure that they can wear the tracker for as long as possible. Adjustable bands are a must-have if you want a long-lasting tracker. Water Resistant: We all know kids can get into a mess in a hurry. Liquid spills and time spent by the pool can do damage to fitness trackers that aren’t water resistant. Water resistant trackers are perfect for kids who love messes! Dimensions: The dimensions of the fitness tracker determine how big the display is, as well as the band size. If you want your child to use the tracker for more than just tracking their activity level, you’ll want to make sure that they can see everything on the display, too. Charging Method: Not all fitness trackers are charged the same way. Some come with a specific charging cable that only works with the tracker itself, while others plug into a USB connection to make charging easy for everyone! Now that you know what makes a fitness tracker great, it’s time to find one that will work for you and your family. We’ve picked the top 10 best fitness trackers for children to give you the variety and choices you need to make an informed purchase. The top pick and the budget pick represent the best options for you to choose from based on what you’re willing to spend, but we have a few other trackers listed to help you find exactly what you need. Without further ado, it’s time to get active! 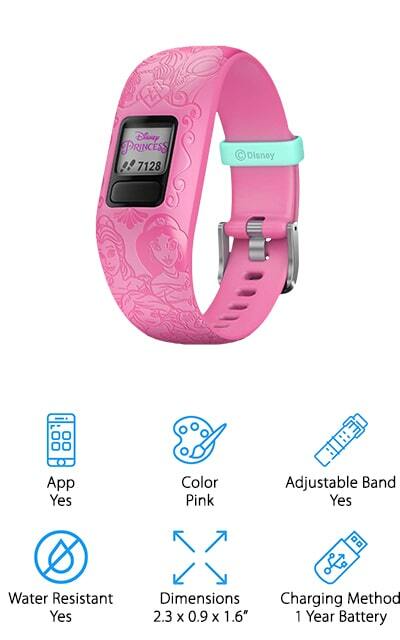 If your family loves Disney, there’s not another fitness tracker that your kids will love more. With 10 different Disney related colors and patterns to choose from, your child can pick from Minnie Mouse, Disney Princesses, Star Wars, and Marvel themes. With a battery that lasts up to one year, you’ll never have to recharge the battery until it needs a replacement. The watch comes with interactive apps to give your child motivation to stay active during the day and track their activity. Parents can also access the app for chore management and reward tools. With minute activity goals, your child will be motivated to stay moving as every goal that is achieved unlocks a new game or icon. This fitness tracker monitors sleep time, steps, and the recommended 60 minutes of daily activity. We consider the Disney Garmin Vivofit Jr to be the best activity tracker for kids because it has everything you need to keep them active and responsible. The Trendy Pro Fitness Tracker looks a lot like a FitBit for children, but at an even better price. 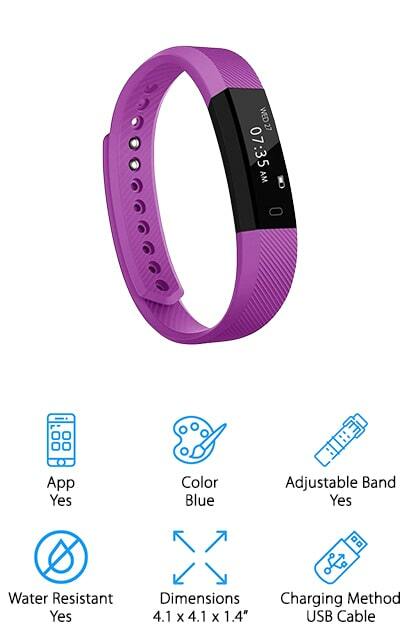 There are four band colors to choose from: blue, black, pink, and purple. 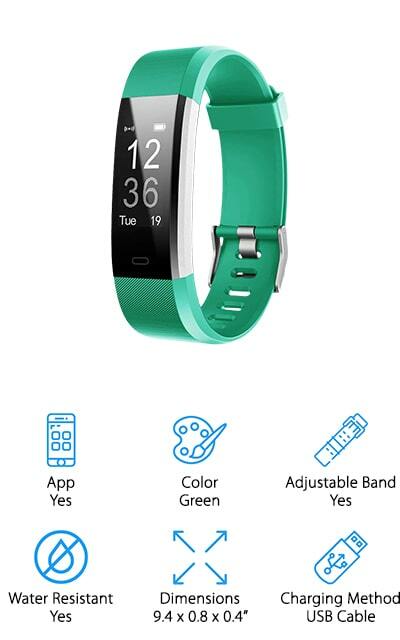 This fitness tracker is waterproof and adjustable enough to fit both children and adults. It can track your sleep, calories, and steps. You can also set reminders to keep your family moving throughout the day and alarms to ensure you won’t miss any important appointments or practices. You can also receive SMS, phone calls, and social media notifications, too. If you choose to get the Family Deluxe package, you’ll also receive a free poster to help keep track of each family member’s activity and goals. You’ll receive a USB cable to recharge the wristband that can easily plug in anywhere. 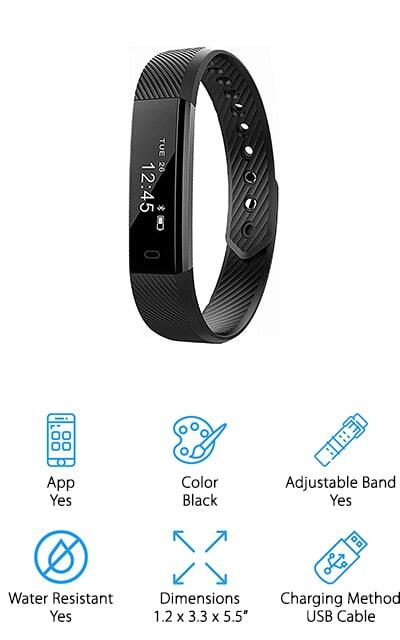 If you want a fitness tracker that works well for the entire family, look no further than the Trendy Pro Fitness Tracker to save big bucks and get moving! The GreaSmart Kids Tracker Watch is more than just an activity and fitness tracker. 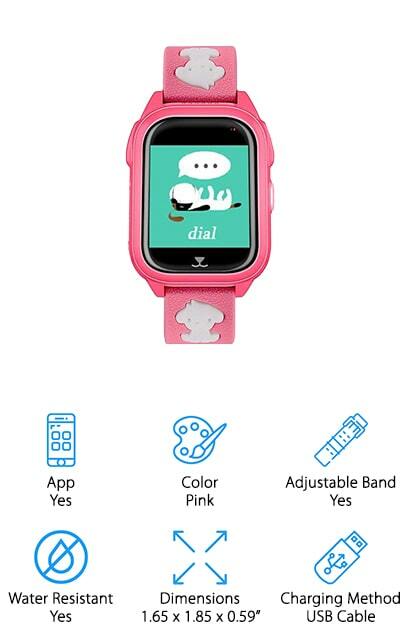 With SIM card capabilities, your child can use this smartwatch as a phone, too! This watch is also waterproof, so you’ll never fear you’ve wasted money when your child jumps in the pool or hops in the shower without taking it off. This watch features a full-color touchscreen to show every detail and activity tracked. With two-way call, GPS tracking, and SOS emergency calls, you’ll always know where your child is and will be able to communicate with them in times of need. As far as tracking fitness goes, this watch tracks your child’s activity levels. This watch also has bonus features that include voice chat and a math game to keep them preoccupied. If you want a fitness tracker that doubles as a phone, the GreaSmart Kids Tracker Watch is a fantastic option! Just download the app and you’ll have peace of mind. 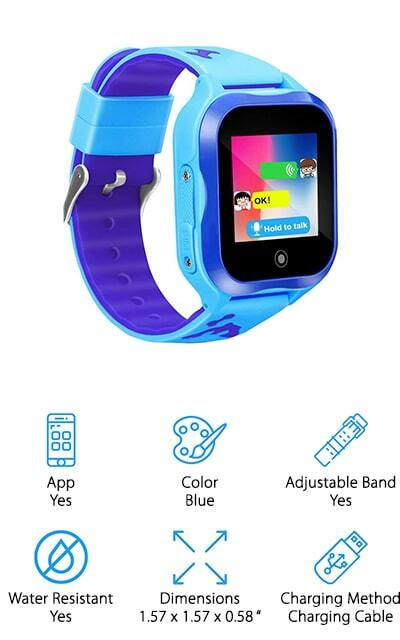 If you want a waterproof smartwatch that has all the amenities, the JingStyle Kids Fitness Tracker is perfect for your active child. You can choose from two colors, pink and blue, for your boy or girl. You’ll be able to track your child’s activity and GPS location easily. 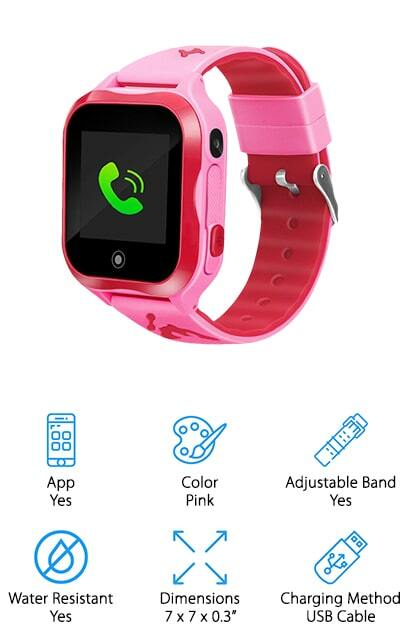 This watch comes with a free SIM card to start tracking your child right away. With SOS emergency calling, you can set up to three phone numbers in the watch to ensure that your child reaches someone when they have an emergency or feel unsafe. This watch not only allows you to communicate with your child, but it also tracks their steps and activity. Two-way calling, voice chat, a phone book, an alarm clock, a remote camera, and a learning game are added features that most other watches do not have. 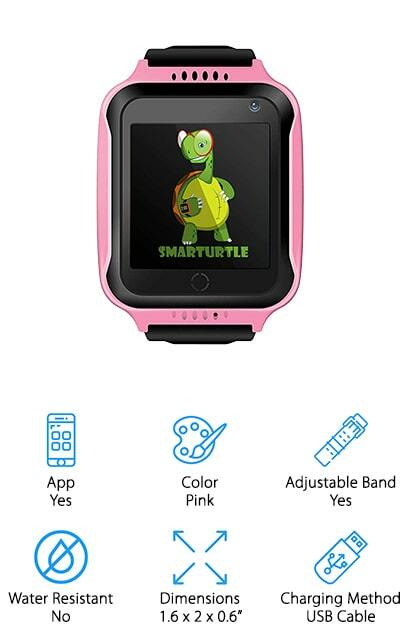 The JingStyle Kids Fitness Tracker is a good activity tracker for kids because it offers simplicity in activity tracking and added communication features, in one product. LETSCOM’s Fitness Tracker is comparable to the Trendy Pro Fitness Tracker on our list. You’ll find several different wristband colors available to customize to your child’s personality. Although this tracker does not have communication features, it offers a variety of activity tracking to make up for it. Heart rate and sleep monitoring are two features you can use to ensure your child is getting enough rest and activity during the day. It also records all day activities like steps, distance, calories burned, active minutes, and sleep status. With 14 different exercise modes, you and your child can better understand the data you get back each time they are active throughout the day. If you connect the GPS feature to your phone, you can also track your distance and the map of your child’s route to keep track of their goals and achievements. Your child can receive calls, SMS, and social media notifications, so they’ll never miss an important message from you with their LETSCOME Fitness Tracker. For a slender, compact, and cheap fitness tracker, look no further than the Toobur Kids Activity Tracker. This fitness tracker was designed for kids 8 years and over. This tracker automatically records your steps, distance, and calories burned. You can easily access these stats every day through the user-friendly app that you can download to your phone. This watch also tracks your child’s sleep to see how well they slept the night before. You can set silent vibration alarms to awaken your child without having to disturb others in their room if they share their space with another sibling. There are 10 different vibration alarms you can choose from to awaken your child from their sleep in case they are a heavy sleeper. You can also set up SMS text and social media notifications to ensure that your child never misses a message from you when it’s time to be picked up. Never miss a step or a beat with the Toobur Kids Activity Tracker! PAI Kids Activity Tracker is the first fitness tracker on our list that features a traditional watch design. PAI’s technology is equipped with a motion sensor to encourage physical activity alongside their interactive City Run app. Parents can download the PaiParent app to learn important information about your child’s daily habits and behaviors. The PaiBand was designed with children in mind as it is waterproof and dust resistant for kids who love messes. The band itself tracks your child’s heart rate, sleep patterns, and steps. You also have the choice to set your child’s alarms to get them up and ready for the day without having to do it yourself on busy mornings. With the PaiParent app, you can also set reminders for your child throughout the day when they’re away to remind them of their responsibilities while also rewarding them with Pai Points when they finish their chores. For a watch that tracks, rewards, and lasts for years to come, check out the PAI Kids Activity Tracker. Next on our list is the CYHT Kids Tracker. This watch is the perfect gift for kids aged 3 to 15 years old. With a screen and camera, you can watch your child no matter where they are without disturbing them. This watch also includes voice chat and two-way calling for more advanced children who may find themselves in sticky situations. With an IP67 waterproof rating, this watch can jump in the pool alongside your child and you’ll never have to worry about wasting your investment. The GPS system inside the watch allows you to see exactly where your child is, no matter what time of day or where they are. With built-in math games, your child can stay preoccupied while they wait for a ride, too. If your child has friends with the same watch, they can become friends through the app, too, making it fun for everyone. If you’re interested in a watch that tracks activity and location, the CYHT Kids Tracker has everything you need! DUIWOIM Kids Activity Trackers give parents peace of mind while encouraging kids to stay attentive during class. This smartwatch and phone allows you to communicate with your kids when you’re running late, but also allows them to talk to you in case of an emergency or changed plans. You can find your child’s exact location with the precise positioning GPS feature for detailed information. The Crisis Moment feature gives your child the chance to call you in case of an emergency just by simply pressing the SOS button for 3 seconds. The entire watch is waterproof and is perfect for avid swimmers or children who love to play in messes. Parents have the option to restrict smart watch activity during the day when their children are in class or at practice to keep them attentive and active. This watch is compatible with both Android and iOS platforms. The DUIWOIM Kids Activity Tracker is a great compromise for children who want a phone and parents who want to keep their kids safe. The Oltec Kids Tracker Watch is a lot like the GreaSmart Kids Tracker Watch, but it comes with a few extra features. With three colors to choose from, your boy or girl will be happy with whatever color you choose. 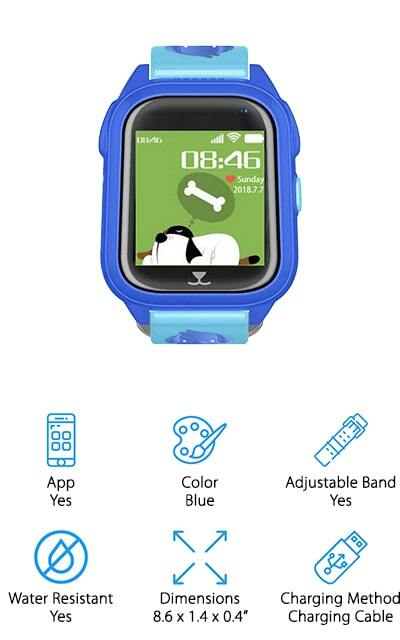 This watch has “secret” tracking that allows you to see and hear what your child is doing by dialing the watch’s number. With SOS calling, your child can call you anytime when they feel unsafe or uncomfortable. You’ll also be able to track their exact location to keep you from worrying when they go outside to play or have a sleepover. 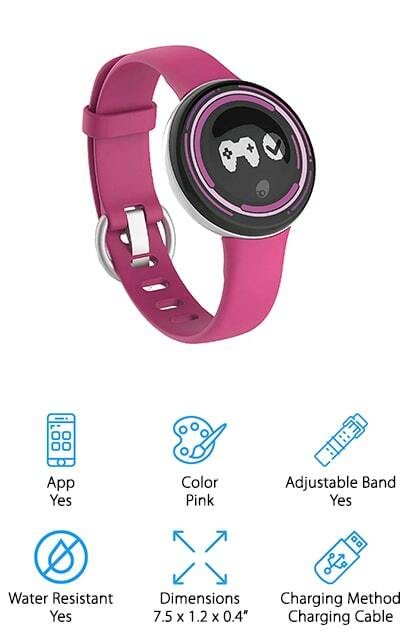 Oltec also created this watch with parents in mind because you can easily restrict your child’s usage of their smartwatch when they are in school or at practice. The Oltec Kids Tracker Watch gives you everything you need and more to keep your child active and attentive, no matter where they are.